At Boost we’ve been running Agile projects (using Scrum) internally for about five years, and with clients for more than three. Constant refinement and improvement is a key feature of Scrum processes. For our scrum masters in particular, looking for ways to tweak our projects is a big part of what we do. One way we do this is by trying practice runs of new processes internally before we unleash them on our clients. 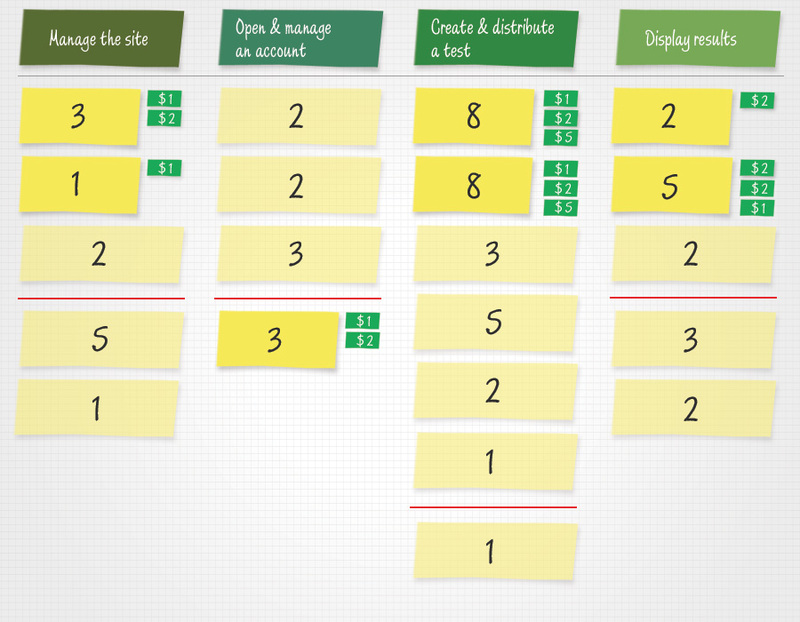 Recently we trialled story mapping as a different way to generate user stories, and then tested two different ways of prioritising the stories into a product backlog. We learned a lot from this, and are looking forward to trying it with clients soon. For my money, trying to understand the system – the whole system – is the difficult part of software development. One of the most common complaints I hear from Agile teams is that they lose the big picture – that is if they ever had it in the first place. 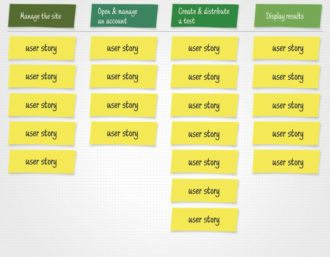 … [A] story map arranges user stories into a useful model to help understand the functionality of the system, identify holes and omissions in your backlog, and effectively plan holistic releases that delivery value to users and business with each release. Occasionally on our Agile projects we’ve run into the problem where, although we’re working in order of priority and regularly delivering new functionality, it still feels like that new functionality isn’t building into a cohesive whole for users. We decided to try out story mapping to see if it might help in these situations. some builders tape, lots of Post It notes, and a bunch of Sharpies. The scenario we used was imagining we were going to launch an online card-sorting tool to complement IntuitionHQ, our online usability testing tool. The Product Owner wrote each of these down on Post Its and and placed them in a row above a strip of builder’s tape on the wall. Next I got the Product Owner to brainstorm the user stories that fell out of each activity, and stick them up in columns under the related activities. For example, under ‘Open and manage an account’, we had the user story ‘As a IntuitionHQ customer, I want to log into the cardsorting tool with my existing account details, so I can get started testing quickly’. We ended up with about 25 user stories across the four columns. 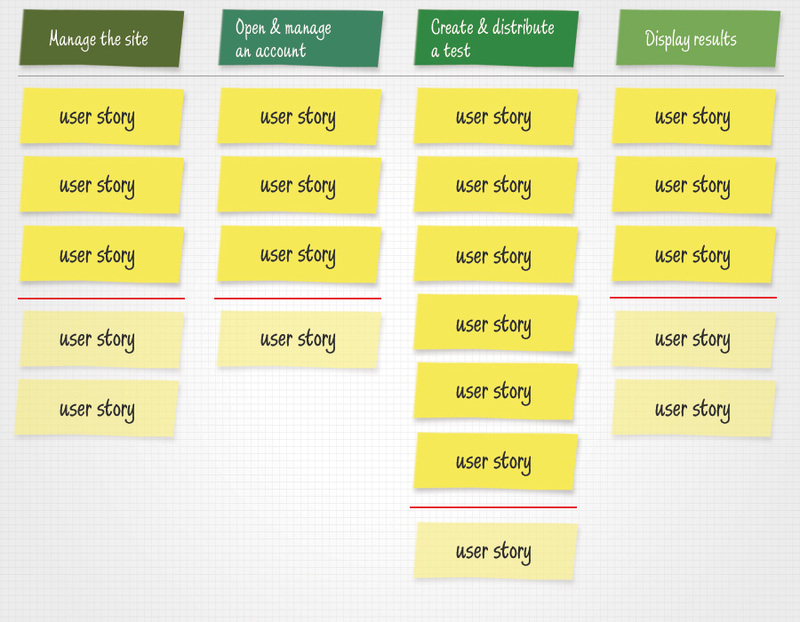 At this point, the user stories were in random order in their columns. Next I got the Product Owner to order them from most to least important within their columns. After the stories were prioritised, I got the team to work together to identify a ‘walking skeleton’: the stories from each column we’d have to complete in order to have a first release of the software that was both high value and immediately useful. We put a line of builder’s tape across each column where the cut-off point fell. Then I gave the Product Owner a ‘budget’ of $30 to ‘buy’ the stories they wanted to see in the first release (with ‘buy a feature’ prioritisation, you use a budget of between 1/3 and 1/2 the entire system budget, to force decision-making.) The ‘cash’ was in the form of small Post Its with $5, $2 and $1 written on them – so to buy an 8 point story, the team had to pony up a $5, a $2 and a $1. It was fascinating watching the team change their mind about priorities with this spending limit in place. For example, in the first prioritisation, the story ‘As a IntuitionHQ customer, I want to log into the cardsorting tool with my existing account details, so I can get started testing quickly’ didn’t make the cut as a first release. In terms of opening and managing an account, this was originally seen as a nice to have, compared to the functionality to create a new account. When faced with a limited budget however, the team decided this was the only story they wanted to buy from the ‘Open and manage an account’ column, reasoning that for a beta release, they’d be happy to offer the site just to existing customers. This released more cash to buy the essential stories associated with creating and distributing tests, and collecting and displaying results. Based on current and previous projects, we know that a point usually represents about three hours work. 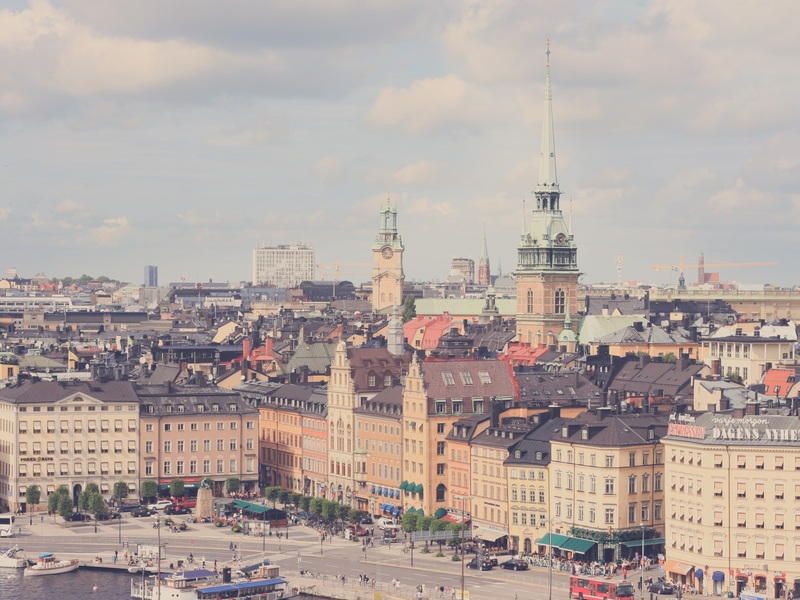 Using this technique of estimating and ‘buying’ stories, we know we’d be able to give a client a reasonably accurate picture of what we’d be able to deliver within any given budget. Incremental release may be one of the more valuable aspects of the various Agile development methodologies. An early release can help capture market share, generate early return on investment, and reduce money risked on software development. A strong early release can increase those benefits immensely. The model we’ve built can give you a better picture of your software’s features and help your organisation construct the most useful and coherent early release possible. when a product owner needs support getting stakeholder agreement on how features and stories are to be prioritised. Find out about the difference between prioritising and ordering.